Thousands of athletes from 71 nations and territories will be going for gold in the 2018 Commonwealth Games between 4 and 15 April. We’re delighted that a strong contingent of Leeds Beckett students and alumni will be competing across a range of sports on the Gold Coast in Australia, all aiming to get their hands on some coveted medals. There are also a number of university alumni involved in the planning and management of the Games. Find out more about Team Leeds Beckett below and get ready to throw your support behind them over the next fortnight! What is your favourite memory of studying at Leeds Beckett? The university was always supportive of my travels and helped me through my degree and post grad during major championships. The university has a great sporting environment and I was proud to even become vice chairman of the athletics team at one point. What’s your top tip for people coming to Leeds Beckett? Go in ready to learn something new about yourself. You may know what you’re going into study, but it’s the life lessons you didn’t even know about which make the experience one that will influence you for the rest of your life. Embrace every opportunity that comes your way, trust me it will be worth it. How will you celebrate if you win a medal at the Commonwealth Games? I’m very confident my first major championships medal isn’t far away, but I can’t say how I will celebrate, as I’m not thinking about the outcome. I’m thinking about how far I can push my body, and how I will be able to deal with the most amount of pain, to make sure I am still in the fight for a medal toward the end of the race. What is the best thing about your sport? I can walk faster than most people can run which is a good start. But honestly it’s given me the opportunity to achieve things I never dreamt of. Like I never thought I’d win a local race and I did, or compete for GB and I did. Even then making the Olympics was never a reality yet I made it and finished 6th! I’ve collected every British record from 1mile up to 20km in the race Walks, and even the 1mile and 3000m world records. All from the starting place of a teenager who wasn’t great at sport and just enjoyed training and racing and was encouraged through from my first coach Peter Selby. What is your favourite thing about Leeds? Leeds is an amazing city to live and train, it's a little hidden gem for endurance athletes. There is endless running routes and great facilities at Leeds Beckett. Most of all there is plenty of cafes for post training treats and socialising! What's your top tip for people coming to Leeds Beckett? Enjoy it, embrace it and take the opportunities you are given. 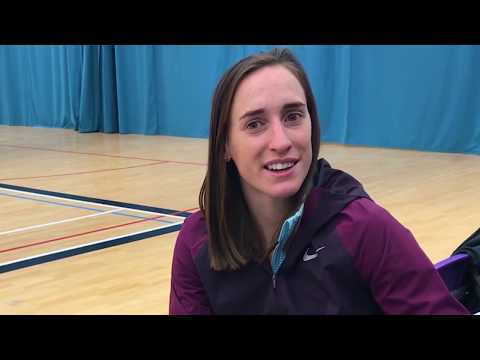 What is your goal for the Commonwealth Games? 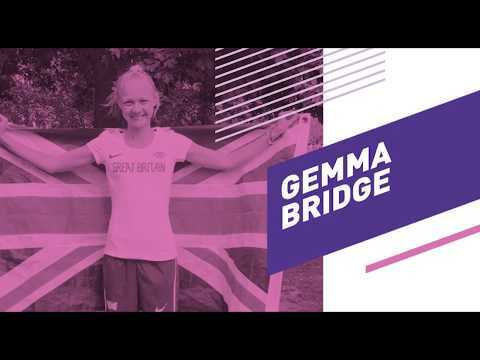 I am excited for the games and the new challenge I have given myself, I am running my first championships 5000m after winning silver in the 1500m back in Glasgow in 2014. I want to be competitive and enjoy the new challenge. I am lucky to have my mum and sister travelling out to the games so after I have raced - whatever the outcome - I will get to spend a couple of days with them. My favourite thing is that where I live, if I go 10 mins one way I'm in the busy city centre with shoppers, foodies and at the heart of the student lifestyle and then if I go just 10 minutes in the opposite direction I can be in the peaceful countryside feeling a million miles away from the rest of the world. What music do you listen to before competing? My iPod is full of all sorts. In particular though, Wretch 32, Eminem and Beyoncé. There’s so much variety and excitement in Athletics. There is an event out there that could suit anybody. Try and keep a healthy balance between study, sporting aspiration and social life. It’s a great city that you can get out of, into stunning countryside, very quickly. Get involved in the brilliant sporting opportunities. What is your go-to food once you’ve finished competing? Join a society even if you don’t find one you’d usually join. It’s a good chance to try new things and meet new people. My goal is to hopefully make any type of final and just to enjoy myself competing and showing off my hard work. How will you celebrate if you meet your goals at the Commonwealth Games? I’d celebrate with a big pizza and a day at the beach trying to tan/burn. There are so many great things about Gymnastics but the best is that feeling you get when you finally hit a skill you’ve been working on for ages and it’s well exciting. It's a great city, with a lot of friendly people and a great atmosphere. How will you celebrate if you win a medal? I won’t have much time to celebrate as I will be heading back to my club in Durham to finish the remainder of the season. However I’m sure we will find a way to celebrate that night especially with it being my birthday! Basketball is a game that doesn’t need much to play and can include anyone and everyone. Enjoy every moment, focus on your studies first and then enjoy everything else Leeds has to offer!